Introducing a gorgeous new range of handmade jewellery by Silver Hill, a luxury sterling silver jewellery collection is sold here. .This is a stunning and unique piece of jewellery, the more you look at it the more detailed and beautiful it gets! Some of the grey beads have tiny pockets of shimmering druzy in various sizes for an extremely elegant look. This piece also features darkened oxidised silver beads and sparkly grey tone crystal beads. Drusy (or Druzy) is the name given to the coating of crystals that accumulates on fractured stone surfaces, most commonly quartz. 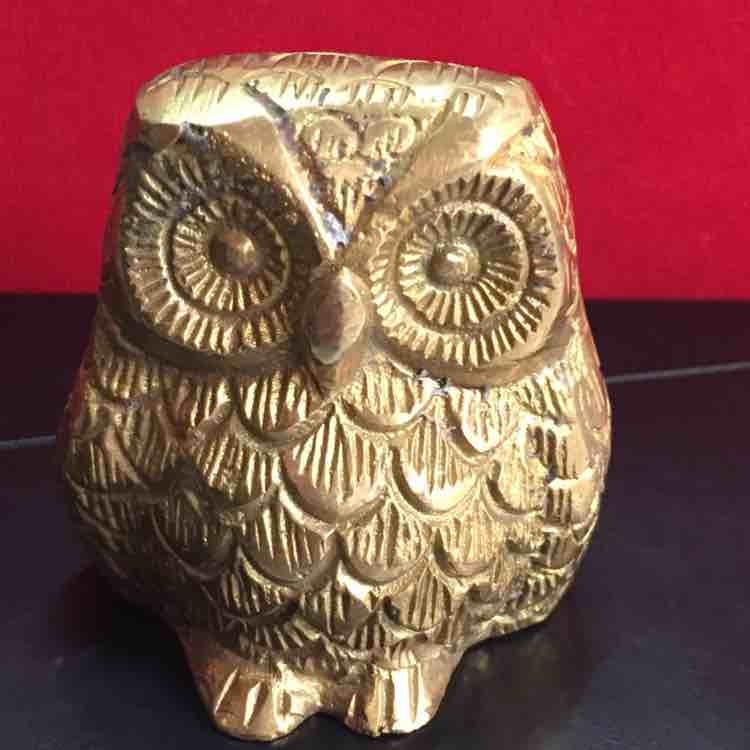 Brass casted owl.. Casted by hand.. Jaipur , Rajasthan , India.. Size -2"